Donald Arrowood, 87, of Rutherfordton, passed away Friday, April 5, 2019 at Spartanburg Regional Medical Center. A native of McDowell County, he was the son of the late Herbert and Lokie Earley Arrowood. He worked at General Fireproofing and also in the construction industry. 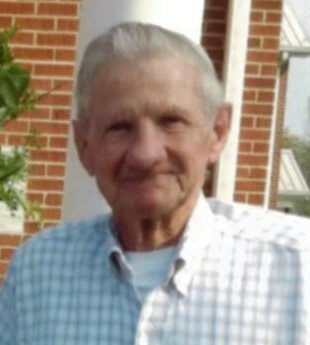 He was a lifelong member of Mountain Creek Baptist Church and enjoyed photography, carving soapstone, rock and mineral mining, collecting historical artifacts and was a member of Fisher Boys Metal Detecting Club. Donald was an avid witness for the Lord. Left to cherish his memory are his daughters, Annette Dalton and Amelia Webb (Thomas); grandchildren Stacy Hawkins (Thomas), Jeff Webb (Ona), Pam Hodge (Dennis), Jennifer Webb, Pennie Peplinski (Jimmy), Jannie Vess (Rob), Barbara Campbell, Anthony Arrowood (Cathy); fifteen great grandchildren; sister Jerleen McEntire (Jesse). In addition to his parents, he was preceded in death by his wife, Betty Harris Arrowood, children, Alan Arrowood and Anthony Arrowood, and brother, Bruce Arrowood. Funeral services will be held 3PM Sunday, April 7, 2019 at Mountain Creek Baptist Church. Burial will follow in the church cemetery. The family will receive friends one hour prior to the service at the church. Crowe’s Mortuary is assisting the Arrowood family.